I don’t approve of big cat sanctuaries unless they’re to preserve a species going extinct in the wild or help cats that are injured or unable to survive in nature, but even when preventing extinction the aim should be to re-release the cats. A big animal whose genes tell it to roam miles in the wild simply cannot be happy in a small cage. That goes double for preserving mutants like the white lions and white tigers below., which are prone to deformities and disease. Nevertheless, without endorsing this practice, here’s what it’s like to work in one of these places. This “sanctuary” is in Kent, England, and they do seem to care well for their animals. 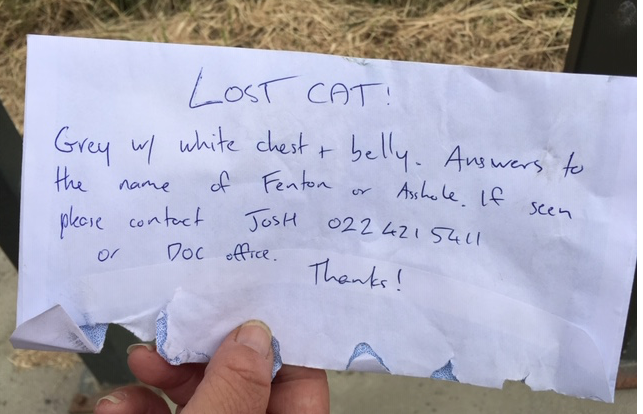 My record collecting friend, Roger Pittman, who you met while you were in Nelson, is touring the southern part of the South Island and came across this lost cat notice. I thought you, cat lover that you are, would appreciate it. Note: do NOT call that number! Reader Tom in the U.S. sent an article from Mashable showing how cats try to hide at the vet’s. 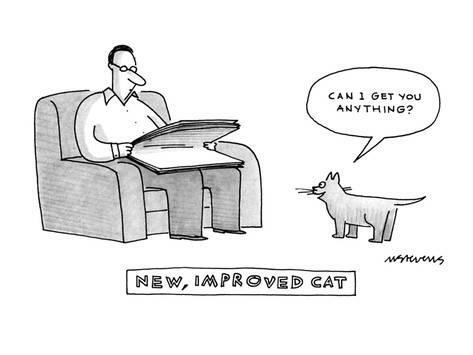 All of us with cats are familiar with this behavior. This entry was written by whyevolutionistrue and posted on February 2, 2019 at 9:00 am and filed under Caturday felids. Bookmark the permalink. Follow any comments here with the RSS feed for this post. Both comments and trackbacks are currently closed. I’ve got felids in small spaces, where the water bowl spills and the litter traces. er I mean, Mr Danley ! S w e e t ! The “hiding” cats are cute! I used to have a cat that would pee in the bathroom sink. He would jump up and get into the sink … it would not be too bad but I was shaving at the time. God knows what he did when I was not there. 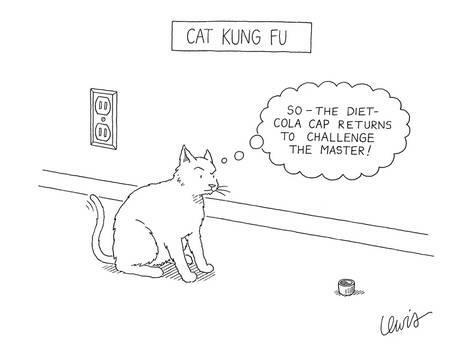 I miss that cat from 37 years ago. That’s one of the strangest things I’ve ever heard. You didn’t train him to do that? He just decided that’s where he wanted to pee? The cat was not allowed in the bedroom. Wife and I would come home and the bedroom door was open … we blamed each other. One Sunday morning 6 am there was a rattling at the door and the cat came in. He was jumping at the door lever and opening it. Anyway we stopped closing the door after that. One day shaving at the sink the comes in jumps up on the counter, into the sink and starts peeing. Grabbed him by the scruff of the neck and ran the cold water on him. He repeated the stunt once whilst I was around … same result. Sadly he got run over not long after that (outdoor cat). He was a brilliant cat as cats go. To answer your question: Definitely Not! Sorry to hear about his fate 😦 Sure sounds like he was a smarty!